The K2 Kinetic Ice is made of water-repellent materials, these will keep your feet warm and dry for a very long driving pleasure. Soft boot skates to the foot shape fit, thus offering more comfort and allow a pleasant and easy going. Supports you in the ankle area for better grip and more control over the ice. Due to the added security, you will be able to improve your driving skills. 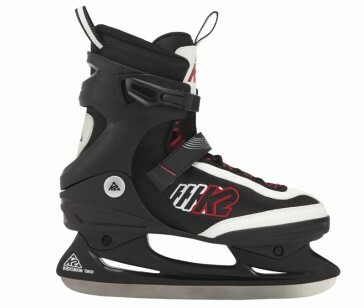 K2 skates should be a number ordered one size larger than street shoes. At issue with the right choice of the size we are happy to advise you!